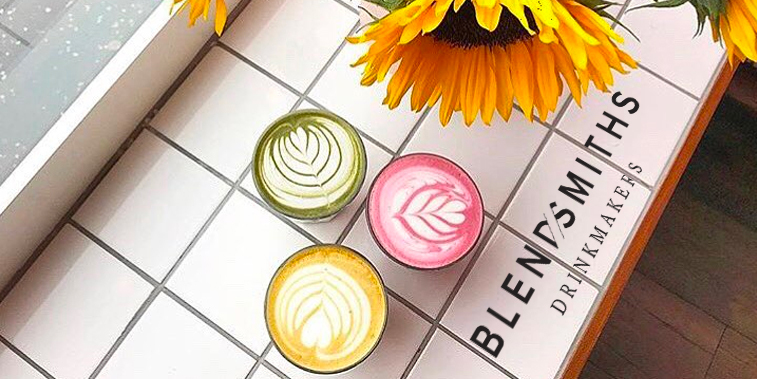 Cakesmiths would like to welcome Blendsmiths to The Pantry. The Pantry has been a huge success for Cakesmiths customers, with the abillity to buy addons to accompany cake orders. Cakesmiths offer mixed cases which the brands don't offer. This gives our customers much more flexibility when ordering. Blendsmiths launched in January this year (2018) and is run by friends Ryan & Chris. Ryan spent many years working in the coffee industry in both London and Auckland. He spent a lot of time drinking it too, and while doing so he not only noticed the burgeoning interest in café culture but also clocked the interest in something that added a new twist to the standard cafe menu. Exciting and interesting ingredients like Turmeric, Matcha and Chai were suddenly livening up cafes, and there was a wave of interest in adventurous craft products. Chris has always enjoyed the café culture and jumped at the chance of teaming up with Ryan to set up Blendsmiths. Having always wanted to work together they set out with developing a range of natural, speciality lattes with an emphasis on TASTE. With Chris having a background in finance, the duo have a nice ‘blend’ of skills that complement each other, allowing them to bring this unique range of drinks to the market. Blendsmiths offer 6 different specialty blends. Beetroot latte, turmeric latte, matcha latte and chai latte coupled with 2 different drinking chocolates, chocolate 35% cacoa and darke chocolate 51% cacoa.